This New Tab will brighten your day because it contains images of the Russian President, Vladimir Putin – Smiling. Vladimir Putin was born on October 7th, 1952. in Leningrad, he is known as a big animal lover and is proven to be a great smiler. Some say that he doesn’t smile because it is the culture of the Russian people, some, on the other hand, say that he wants to keep an image of a strong leader. There are also speculations that he is not to be seen smiling because some say that he is a target of a massive campaign which wants to present him as a bad person. People say he doesn’t smile, but you can see the biggest smile on his face when he’s with his family or playing with his dogs (he has three dogs at the moment -Verni, Yume and Buffy). People believe that Putin has done cosmetic surgery to enhance his looks since he wasn’t affected by the natural weathering of time. He just ages like fine wine. “I would speculate that he’s had filler and Botox done, and this is evident by smoothness around his forehead and the crow’s feet around his eyes and volume along the cheeks,” said Toronto’s famous facial cosmetic surgeon, Philip Solomon. On the bright side, we doubt that Putin has gone under the knife for these procedures. Popular plastic surgeons and specialists believe that he got injections, for which he would need to go back for additional injections about twice a year. Many people believe that Vladimir Putin is the most handsome president in the world, and honestly, we couldn’t agree more. Enjoy these photos of Putin’s charming smile, that makes all the women weak at their knees. Here we have images of him grinning. Enjoy your browsing experience. 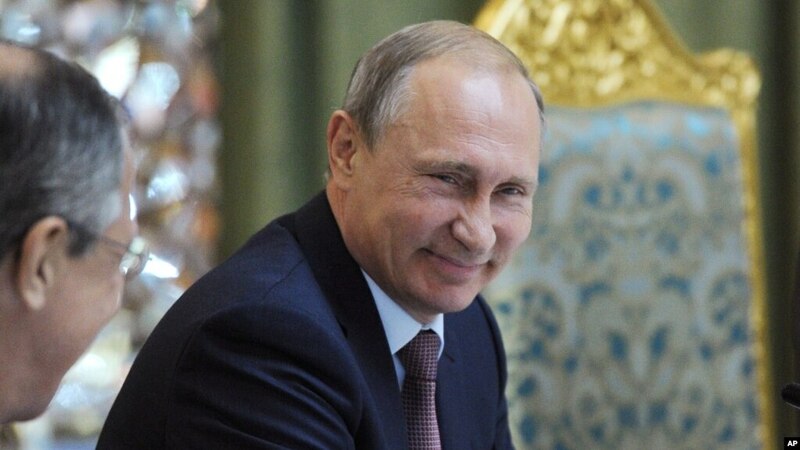 We hope you enjoy this extension of the charming smile of Vladimir Putin and feel free to share it with your friends.